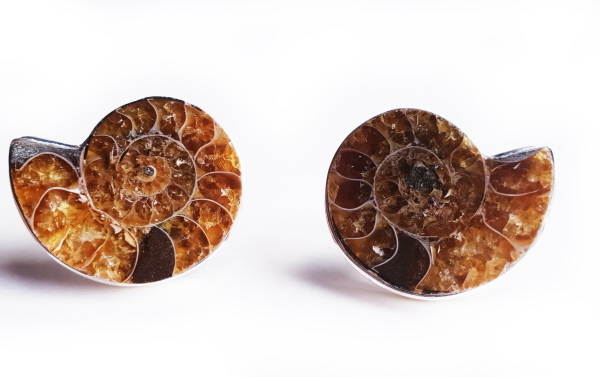 These cufflinks are made with Madagascan Ammonite Slice pair that has been intricately set in unique solid sterling silver settings and backed with sterling silver cufflinks. The cufflinks measure 2.9cm across at their widest point. The Ammonites are roughly 100 MILLION Years old, and their immense age and stylish magic will finish your shirt in true style! 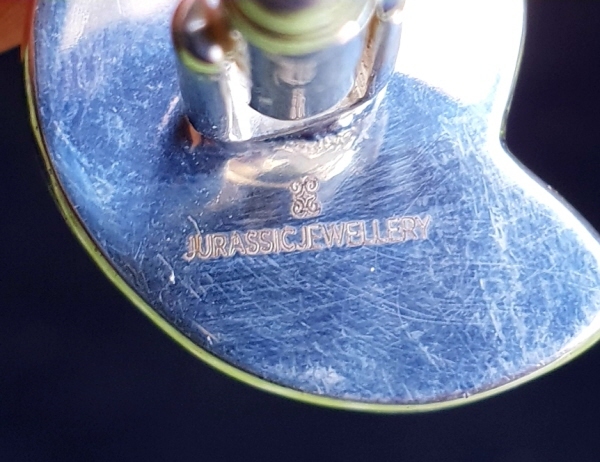 These are made for Jurassic Jewellery in a workshop in India and I am sure will prove VERY popular! Think about the fact that you will be wearing the remains of a sea creature that swam in the warm seas at the same time as the Dinosaurs! Each and every pair of these fossil cufflinks is unique and has a slightly different arrangement of colours and textures. No-one will EVER wear something exactly the same! BOXED in a high quality labelled jewellery box - and complete with a signed certificate of authenticity with unique holographic serial number and make a truly unique gift for any man! Each and every pair of these unique and has a slightly different arrangement of colours and textures.